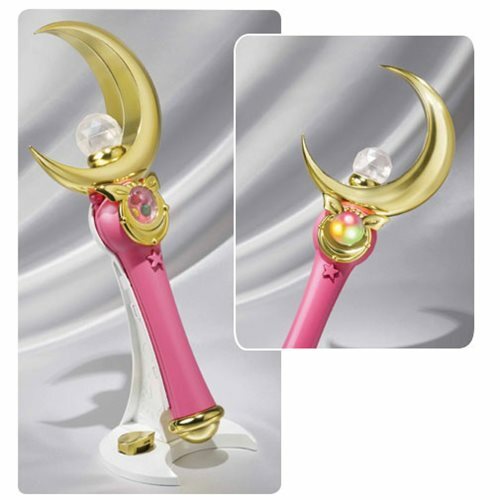 Faithful 1:1 scale replica of the Moon Stick from Sailor Moon. Features colorful details, light-up gimmicks, sound effects, and vocal recordings! 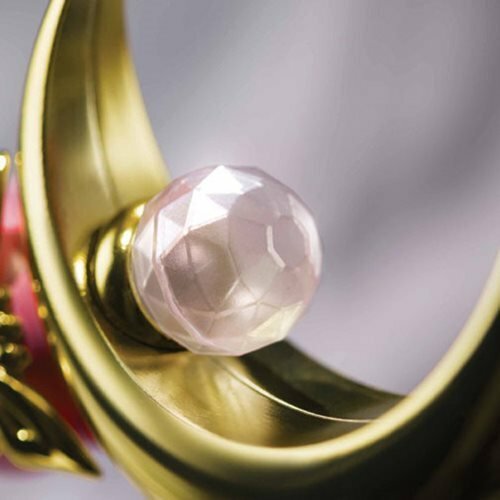 The Sailor Moon Moon Stick Bandai Proplica Prop Replica is a faithful 1:1 scale replica of the iconic Moon Stick from Sailor Moon. This elegant rendering measures about 10-inches tall and features an accurate portrayal with colorful details and light-up gimmicks. 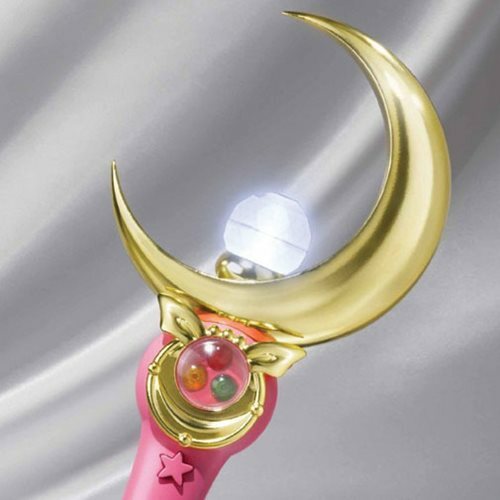 Sound effects and vocal recordings featuring Sailor Moon's original Japanese voice actress Kotono Mitsuishi are also used to add to the Moon Stick's realism. The attachment and removal of the Silver Crystal activates new lines and effects. An exquisite display stand is included for showing off this masterpiece. Be the hero you were born to be and earn the gratitude of the Moon Kingdom! Requires 3x "LR44" button-cell batteries, not included. 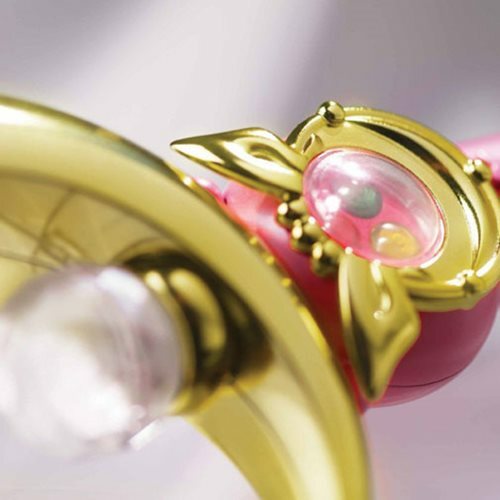 This Sailor Moon Moon Stick Bandai Proplica Prop Replica comes from the folks at Bandai Tamashii Nations. It's part of the high-quality Proplica line. A fusion of the words "Prop" and "Replica," this category is garnered from decades of Bandai role-play category know-how and employs state-of-the-art manufacturing technology to bring realistic prop replicas to even the most discerning collectors.